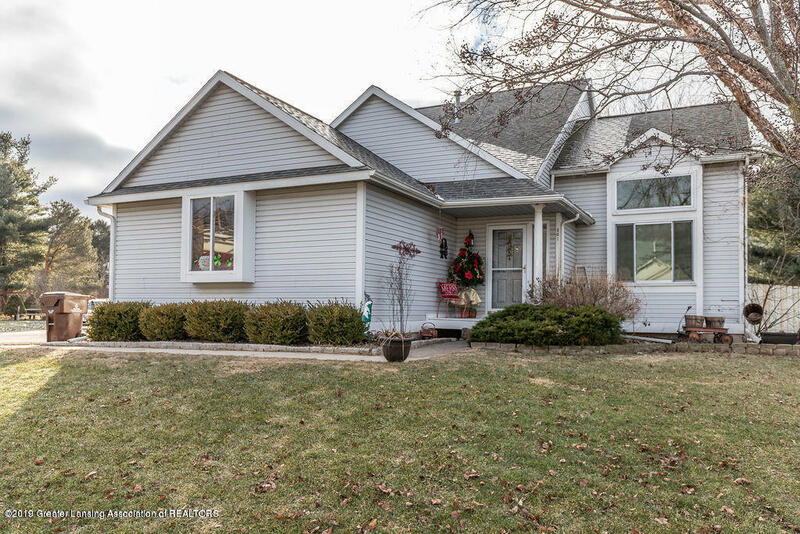 Newly remodeled beautiful move in ready 3 bedroom, 2 bathroom home in the highly-sought after Riverwood neighborhood in Williamston. Recently updated first floor master bathroom with granite vanity, tile floors and deep soaking tub. Newly constructed kitchen creates a flowing open concept between the dining room, with updates including new counter tops, refaced cabinets, stone backsplash, island, & all new stainless steel appliances. New luxury vinyl flooring throughout the first floor & brand new hot water heater, washer, and dryer. Spacious first floor master bedroom with walk-in closet, and sizable bedrooms upstairs also with ample closet and storage space. Located on a corner lot of a cul-de-sac with a fully fenced in backyard. Directions: GRAND RIVER AVE TO WINDING RIVER DRIVE TO WINDING RIVER COVE.